The KWGE25RG-VALUE-PACK set of 6 o-rings provides tremendous savings and convenience. No more taking long trips to the hardware store or waiting for your online purchase in the mail. Owning this value pack means always having a spare o-ring on hand. 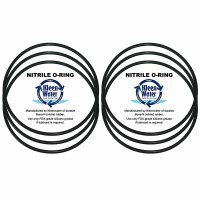 Replacement o-rings for GE Filter 2.5 Inch. 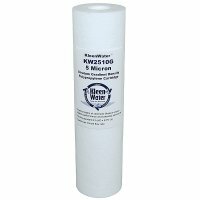 The KWGE25RG o-ring is compatible with G.E. filter housings: GXWH04F, GXWH20F, GXWH20S, GXRM10 and GX1S01R.